Cut stem off of eggplant. Trim skin on both sides. Cut eggplant lengthwise in 1 inch pieces. Salt eggplant on both sides and place in colander for an hour, this helps pull out the moisture. After an hour, rinse each piece and squeeze dry and blot with paper towel. Mix: EVO, balsamic vinegar, salt/pepper, minced garlic, Aroma seasoning and sour cream. 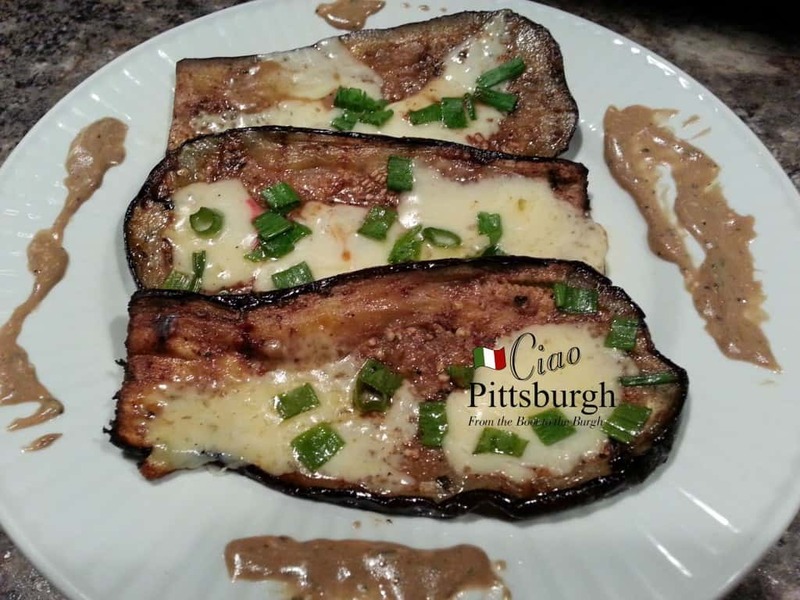 Once mixed and all ingredients are combined, coat each eggplant slices on both sides. Place on hot grill and cook for 2 minutes. Then turn over on other side and cook for 2 minutes. Turn them back over one more time and add cheese. Once cheese melts, plate them.